Our cleaning service booking script comes with all must-have features necessary to run your successful cleaning service business online. In the same time, the cleaning booking system can be attuned to each customer's specific requirements. Just contact us and tell us what exactly needs to be altered! We will come back to you shortly! 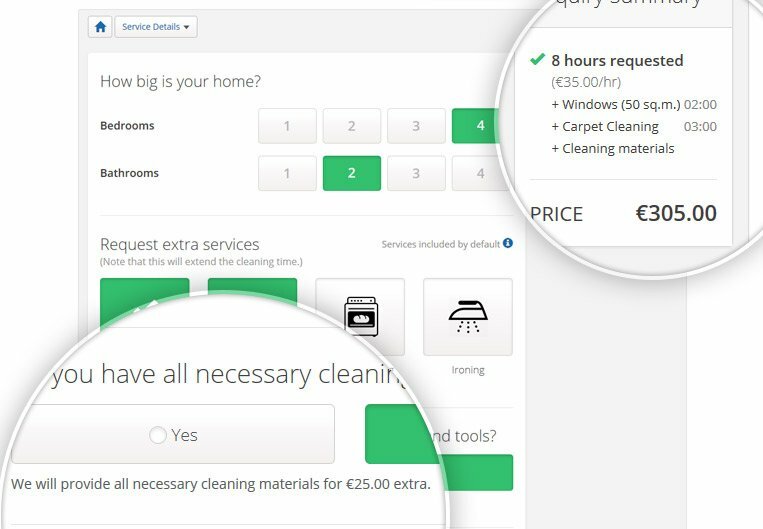 The cleaning service software will add a simple request form on your site. Clients can schedule their preferred services in less than 5 minutes. The clean-cut UI and informative contents will quickly guide them to the checkout! Customers can request your cleaning services from any device - desktop computer, tablet, smartphone, etc. 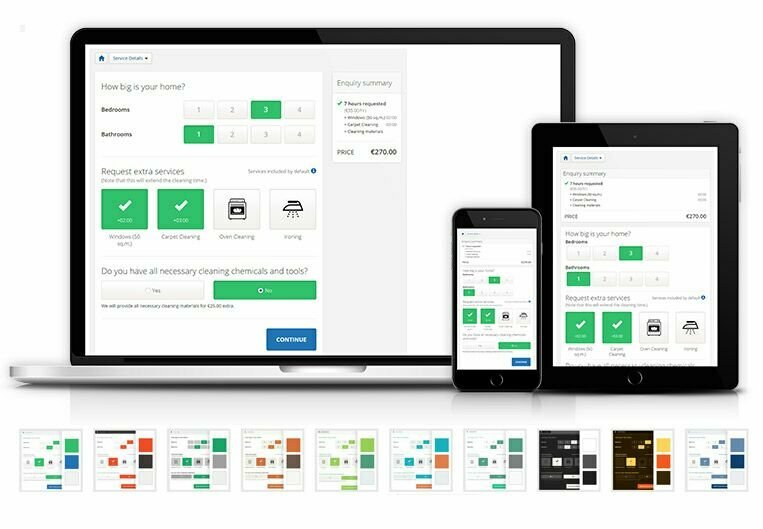 Our PHP script for the cleaning business has a responsive UI and a set of 10 switchable color schemes! 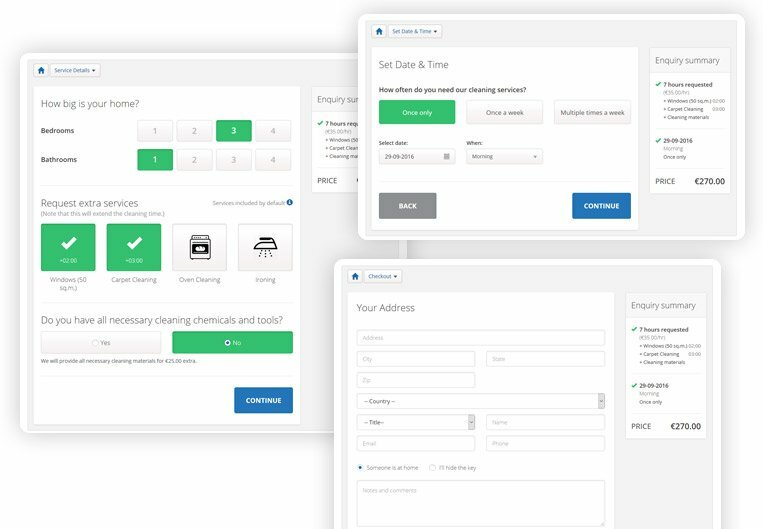 The lucid dashboard which opens upon logging in to the Cleaning Business Software will help you keep track of recent enquiries and services scheduled for the present day. You can also use it to add clients and appointments. 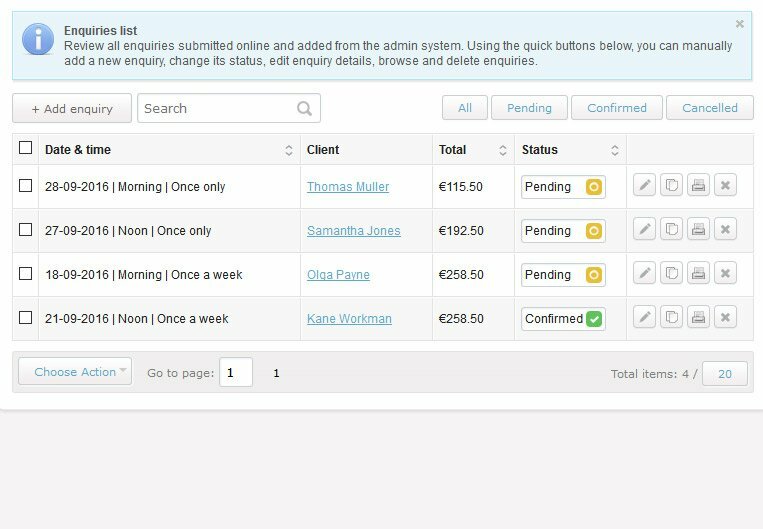 See all client enquiries at a glance, change their status with a single click, review details, print out and copy appointments. With our smart cleaning service scheduling software you will have full control of customer requests! Set an hourly rate for your services and a separate price for cleaning materials (if not available at the client's premises). Specify cleaning time per extra bed/bathroom. The final price is calculated depending on property size. In addition to the standard service package, you can provide customers with other services such as window cleaning, carpet cleaning, ironing, etc. Add as many extras as you wish and set fixed time needed for each activity. Process various online and offline payments. 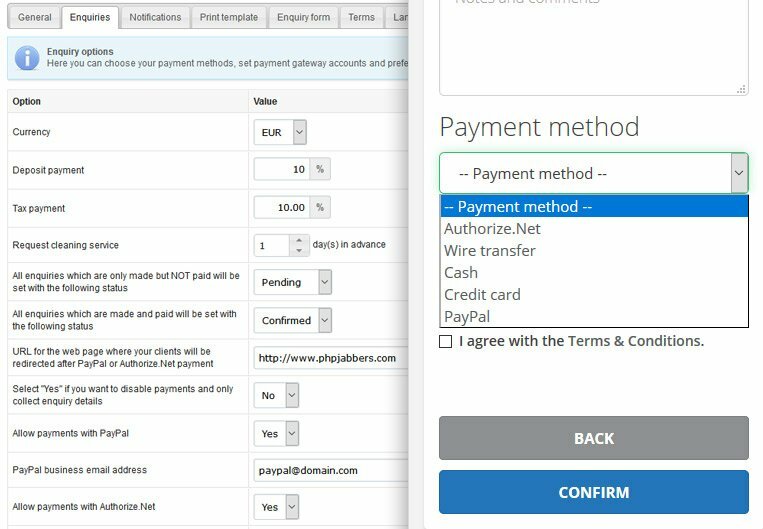 Authorize.Net and PayPal are available options that come by default with our cleaning service software but you can also request other payment gateways. If necessary, you can temporarily switch payments off and receive enquiries only. 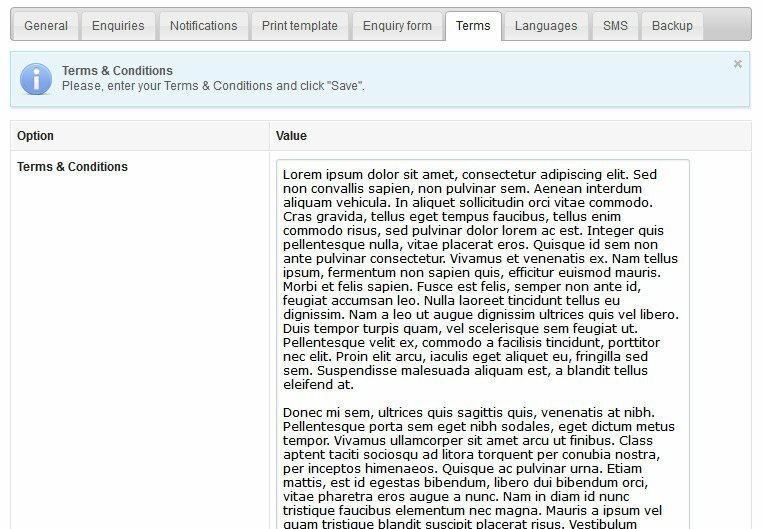 Our PHP script for the cleaning service has a built-in notifications plugin which can send out Email & SMS alerts both to users and clients. 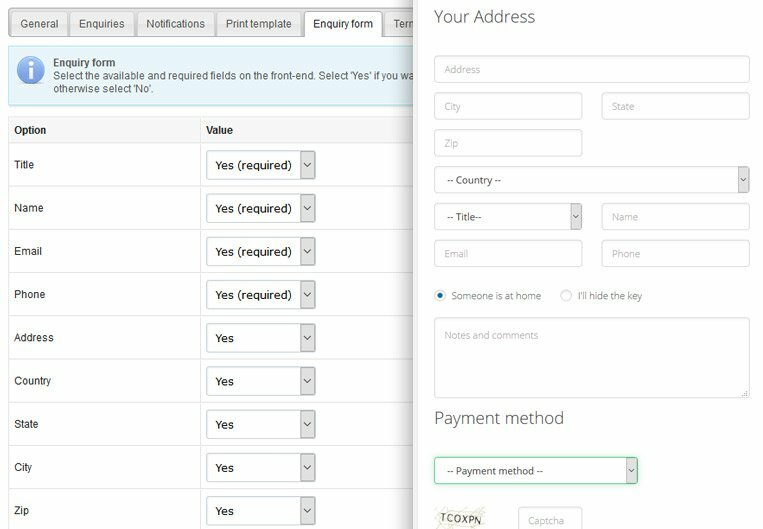 Customize messages - new enquiry, payment, or cancellation, using predefined tokens. 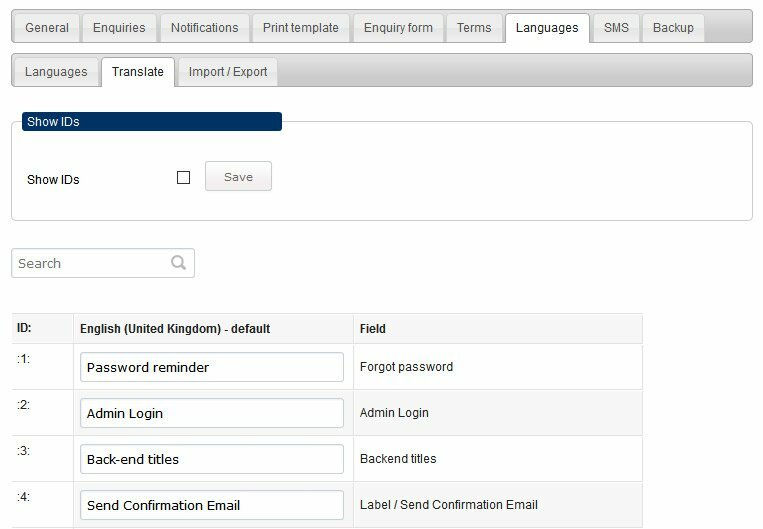 If you want to change the default language (English) of the Cleaning Business Software, you can translate all front- and backend system messages using the unique text IDs or by exporting and importing CSV file with all titles. 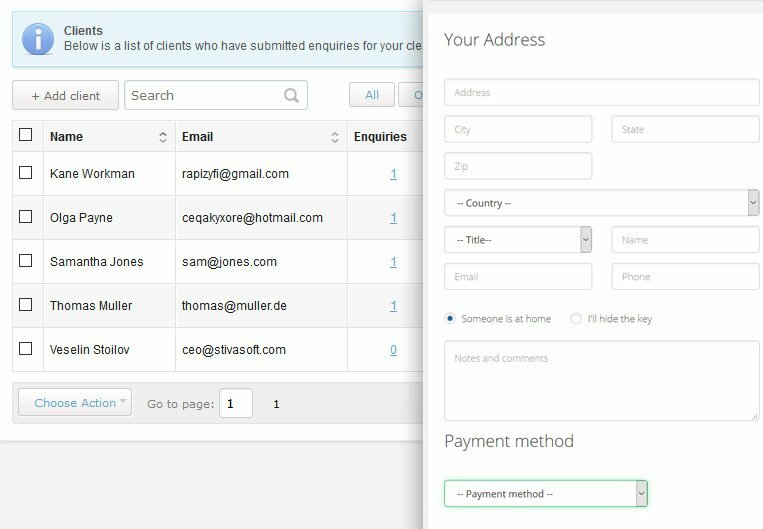 You can use the customer details from the enquiry forms to create, enrich or update your client database. This will help you target your email marketing campaigns or contact clients in other relevant cases. 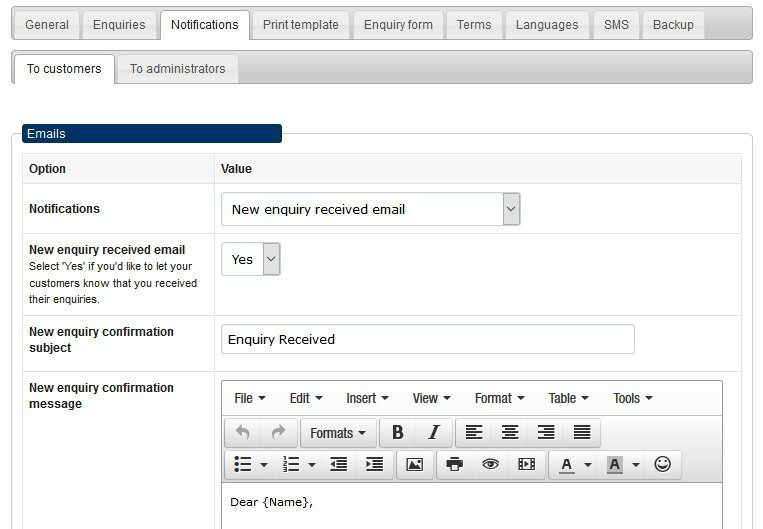 Use the simple drop-down menus to select the standard and required fields on your online enquiry form. We would advise you to keep the Captcha field as required in order to prevent spam messages. The rest is up to you! 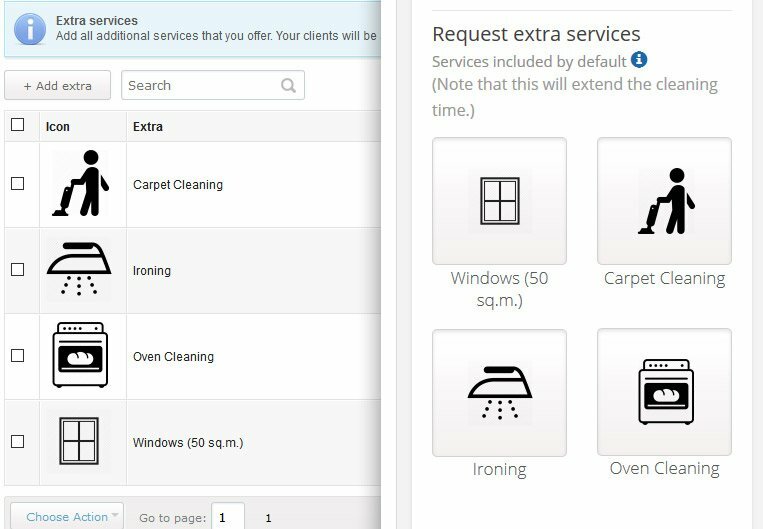 Enter your company terms into the cleaning booking system backend and request your customers to read and agree with them prior to submitting their cleaning service request. You can update them anytime, if necessary. With the One admiN feature, you can easily switch between your cleaning service scheduling software and other PHPJabbers tools (that you are already using) from a single login. Learn more and request One admiN now! Web developers can modify the cleaning service scheduling software at their own discretion. In this case, they have to opt for a Developer Licence. It goes with the source code and a useful guide for our framework. Compare both licences! 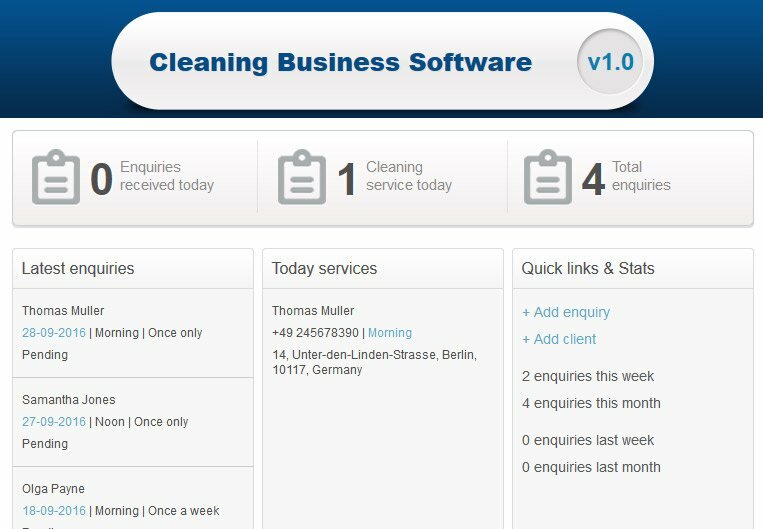 Our Cleaning Business Software comes with the following special features: Installation Wizard & Cross Domain Integration, High Performance Protected Against SQL Injections PHP Framework, One admiN Module, Translation Module & Backup Tool, User Permissions & Encrypted Passwords, Clean PHP Code & Developer Licence. You may also benefit from our extra services: FREE Installation & Support, Free Updates, Remote Hosting, Payment Gateways Integration, Web SMS, Custom Modifications, Extended Licence Program.